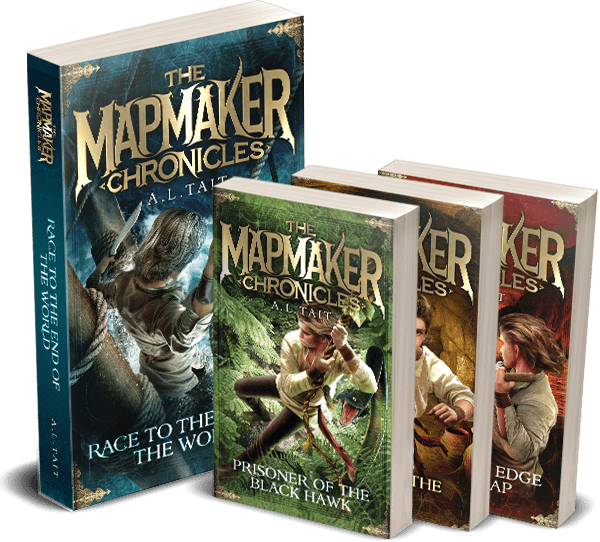 Are you writing a novel, for children or for adults? Or would you like to be writing one? Why not do it with me? Despite the fact that I thought I wasn’t going to be undertaking any #writeabookwithAl writing challenges until NaNoWriMo on 1 November, it seems that fate has other ideas. Actually, my dear friend Anna Spargo-Ryan has other ideas. Anna is working on a new manuscript, which will no doubt be as brilliant as her latest release The Gulf, but is struggling with accountability. So we had a chat, and, somehow, here we are again, beginning on 1 August 2017. 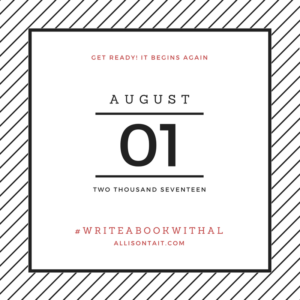 The way #writeabookwithAl works is simple: I write a book (which I really need to do anyway) and you write along with me. I post my word counts each day – and, trust me, they range from zero to thousands (and yours will, too), and you let me know how you’re getting on. There’s no deadline for this one, simply because I know what my next month or two looks like, but I’ll be aiming for six weeks or so for 50,000 words (and I will not beat myself up if it takes longer – and neither will you). We have a hashtag (because if there’s no hashtag did it really happen?) and the absolute best place for you to get involved is here on my Facebook page, because that’s where I tend to be, late at night, with my word counts. 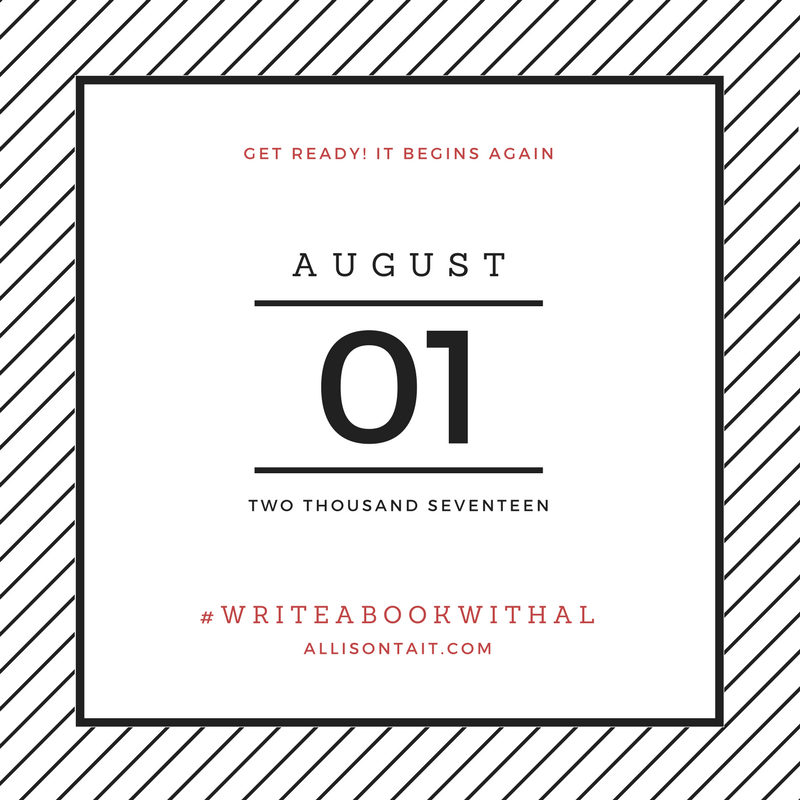 In the past, #writeabookwithal has been a terrific community event, with a large group of writers supporting each other, and I hope this time around will be no different. Keep an eye out for #500in30 prompts on Twitter (I’m here and Anna is here) and other challenges to keep your manuscript growing. If you’ve done my Creative Writing 30-Day Bootcamp, you’ll know the power of accountability (and if you haven’t done it, feel free to do it alongside #writebookwithal to supercharge the 10,000-word goal!). If you’re wondering how you can possibly make time to take part, check out my Make Time To Write online course here. So, sharpen your pencils, fire up your computers and do whatever you need to do between now and 1 August to join in. I’ll be working on a brand new A.L. Tait manuscript. 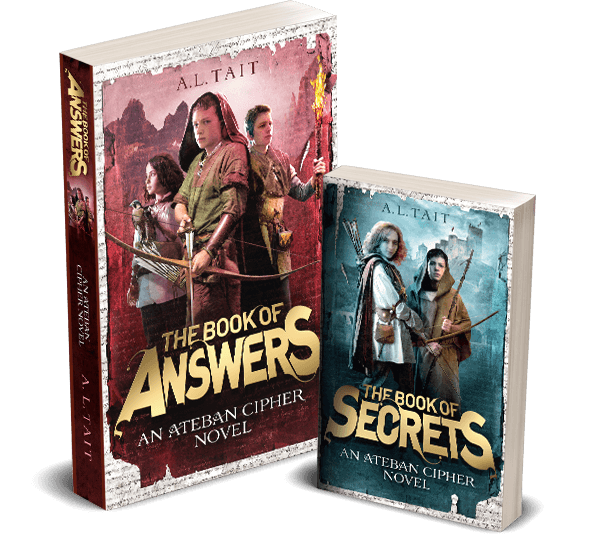 With four books now published in The Mapmaker Chronicles series, and with The Book Of Secrets, the first book in my new Ateban Cipher series coming on 12 September (book #2 in March 2018), it’s time for me to think about what A.L. Tait does next. I’ve done the research and written the first few thousand words. I’m excited! Will you join me? What will you be writing?